High-quality traditional boots with beautiful embroidery. 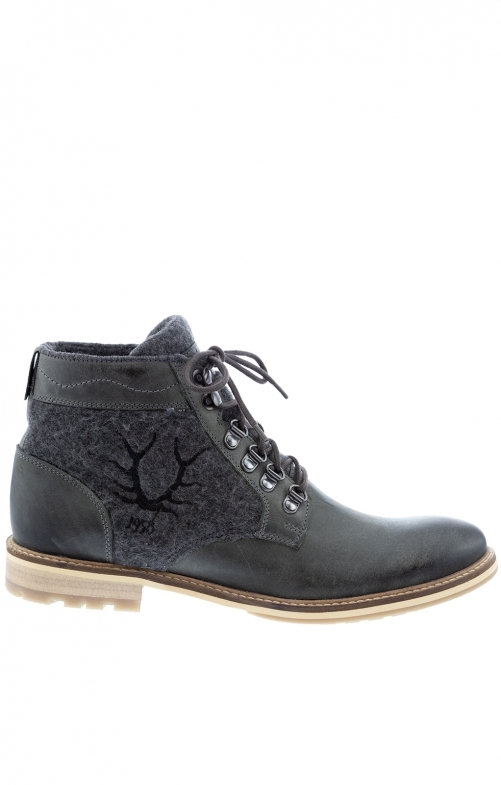 The comfortable traditional boots in anthracite set their own accents. Maximum comfort thanks to high-quality leather and traditional felt side panels. On the outside, the model is adorned by an embroidered deer antler. The traditional sneakers are closed with a grey lacing. The bright sole has a small heel and is profiled in the heel area.